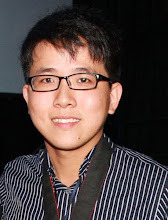 Kuala Lumpur, October 2014 – Being directed by the amazing duo directors who brought you “The Game 1 & 2”, Felix Tan 陈炳丰 & Kethsvin Chee 池家庆 are presenting their reality genre movie, “The Cage 惧场” onto the big screen this coming 30th October 2014! 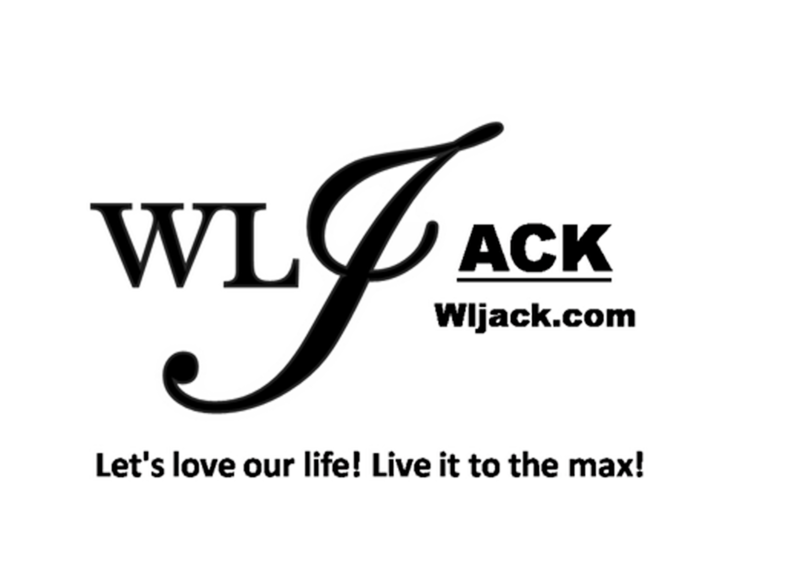 Our team from wljack.com & loong-updates.blogspot.com have been invited to the media screening & press conference of the movie a few days ago! Breaking The Norm & Tradition! A Movie Without Script! During the press conference, both of the directors Felix Tan 陈炳丰 & Kethsvin Chee 池家庆 have shared with the media members regarding the movie. They are trying to break the normal tradition of filmmaking by bringing in the new genre of Reality movie onto the big screen. It was a risky attempt because usually no one would dare to sponsor or participate in this kind movie due to its nature of not having any script throughout the shooting. They were grateful that they were able to receive supports from so many partners as well as the artistes! “Must try, no harm!” as encouraged by all of the partners, the directors proceeded with their plans in making the movie! Yann Yann’s Character In The Drama Has Gone Crazy! Coby was Touched by The Acting of his fellow artistes! 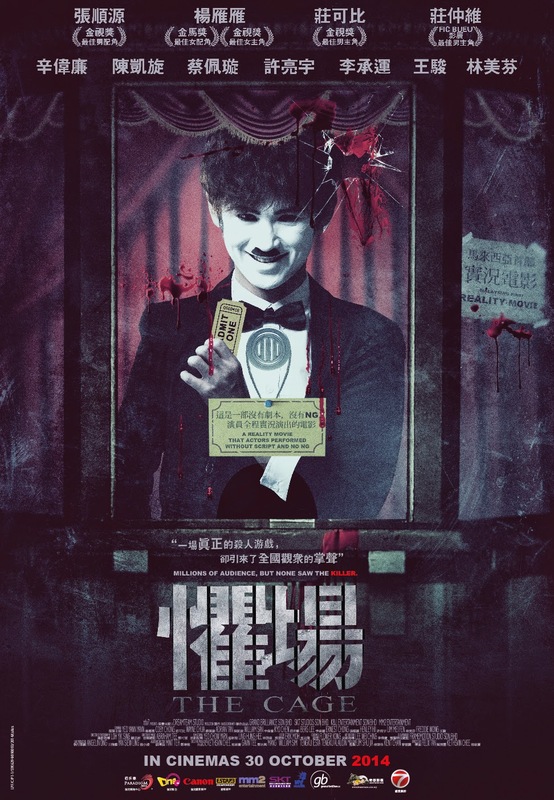 In this movie, Yann Yann’s 杨雁雁 character, Ma Yan Ling, is a famous actress who has been invited by her teacher for a show titled “Deadly Theatre”, thus leading her to be one of them who was stuck in The Cage! She mentioned that near the end of the movie, the character has reached a state of mental breakdown and she’s trying her best to release herself. On the other hand, Coby 庄可比 plays The Director in the movie and he gets to watch the real acting by his peers from the backstage. He said that he was touched by the acting of his fellow actors and actresses. 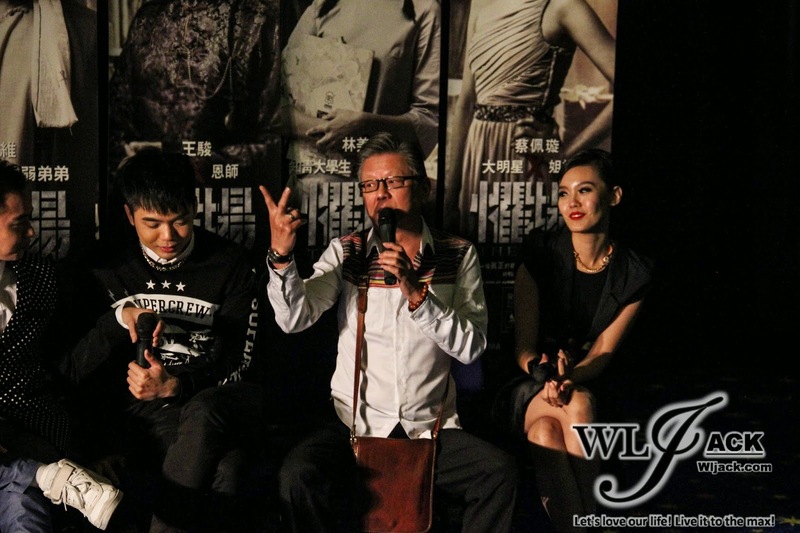 William San 辛伟廉Felt That The Filming Atmosphere In The Cage Was Very Different! Adrian Played a Very Complex Role! William revealed that the feeling of acting in this movie was very different from within the cage as well as being the audience on the floor. He said that if someone was stuck in the cage, the feeling would become very scary as they couldn’t predict who would die next and their characters might be the next victim. 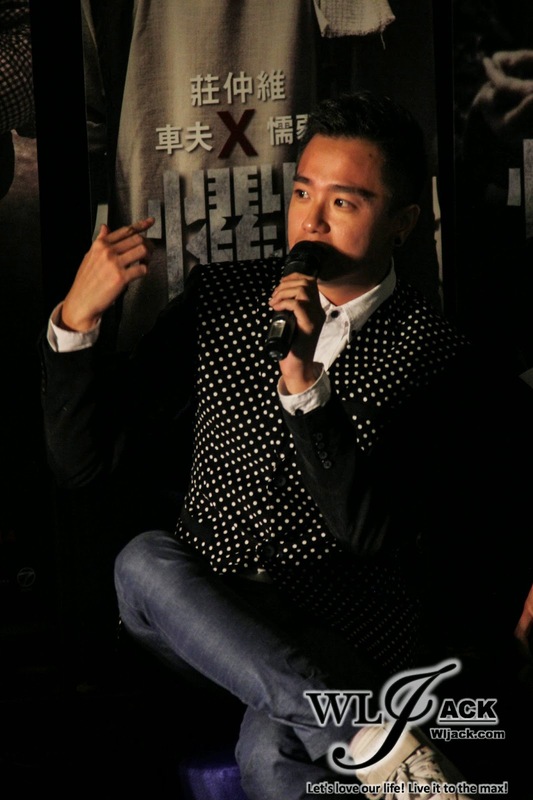 Adrian 陈凯旋said that he is a timid person and he has a mixed feelings when playing his role in the movie. Henley 许亮宇Likes To Throw Stuffs! Berg Lee 李承運 Commented On His Own Close-Up Shot! Henley said that he’s someone who would be easily affected by others in making decision. He said that he would be easily swayed in guessing the murderer. On the other hand, Berg Lee commented that he wants to slim down his face because he said that he looks fat during the close-up shots in this movie. Ernest Chong张顺源Noticed A Different Side Of Him In Acting! Kyo 庄仲维 Crying Miserably in the movie! Other casts of the movie have also shared their thoughts on their roles. 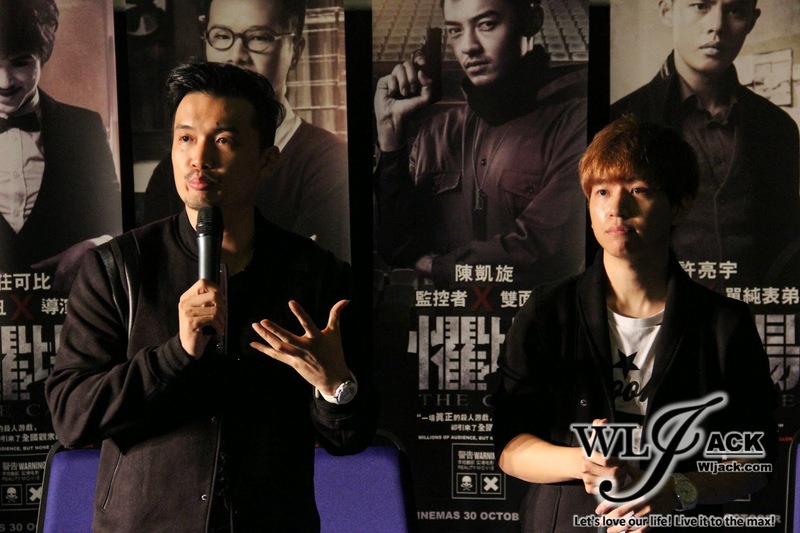 Ernest Chong said that he has noticed a different kind of facial expressions from his ownself through this movie. Kyo on the other hand commented that the artistes could act more realistically in this genre of film. There was a scene whereby he has cried miserably in the movie. Breakthrough For Freddie! Slept For Days! In this movie, Freddie王骏 has had three major breakthroughs in his acting career. First, he said that this was the first time for him to be hired to sleep for a few days on set. Secondly, he has to bear with the pain when he was accidentally hit on his private part. Thirdly, this was the first time for him to have his handphone being confiscated from the set. These were the three breakthroughs for him! It was filled with laughter when Freddie was sharing his experience with the media members! Mei Fen林美芬Seldom Cried but She Cried Watching This Movie! Mei Fen also praised the fellow artistes for their marvelous performances which have exceeded what she could see from TV Drama. She was impressed and cried watching the movie. The directors were asked on the distribution of wages for each artistes. They replied that each of the artistes received fair and equal wages despite some of their characters died earlier in the film. Six actors are about to perform in a gigantic locked cage on stage. The show will be broadcasted LIVE on national television. On the day of the show, the first actor in the original drama script was really dead on the stage due to the props on the stage being real weapons. As they realized about this, all doorways were locked and they were stuck inside the cage. Desperate to escape from the cage, the remaining actors cried for help from the crew and audience, but only to be responded by a thunderous applause. They then realize that they have fallen into a secretly planned trap by organizational psychopath murderers. In order to survive, they must continue to perform until they find the murderer hidden among them. No script provided nor dialogue planned. No main character was fixed. 1 scene, 1 take (1 take until the end). No NG and repeated scene. The actors are not allowed to interact with other actors during the shooting. WHO IS THE REAL PSYCHOPATH KILLER IN THE MOVIE??? LET’S FIND OUT IN YOUR NEAREST CINEMA THIS 30TH OCTOBER 2014! Do stay tuned for my review which will be available in this website soon!